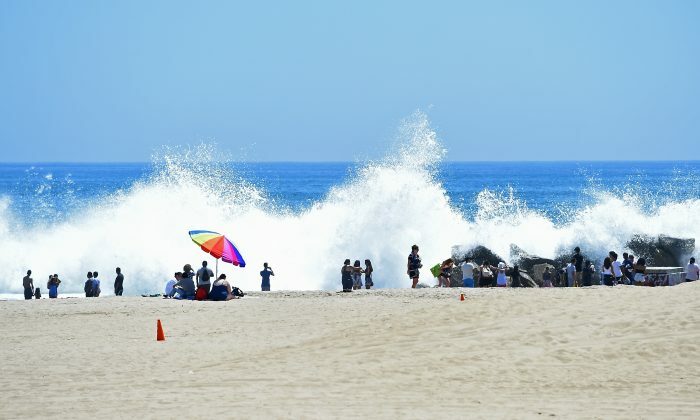 With another heat wave on Tuesday, Southern California is experiencing a drop in the power supply and a spike in gas consumption together with dangerous fire weather and public health threats. According to the forecast from National Weather Service, dangerous heat will drive the temperature up into the triple digits, which is much higher than the normal high of 84 degrees, at this time of the year. Excessive heat warnings and heat advisories were issued through Thursday to remind residents to avoid long-time outdoor activities, be cautious of heat-related diseases, and conserve electricity. To prepare for potential power shortages, the California Independent System Operator Corporation issued a statewide Flex Alert that suggests residents conserve electricity by setting air conditioners to 78 degrees or higher from 5 p.m. to 9 p.m. In addition, SoCalGas announced a gas curtailment watch due to a large consumption of natural gas used for generating electricity. Customers might need to reduce gas use during this week. According to SoCalGas’s estimation, gas demand will rise from 3 billion cubic feet per day (bcfd) on Monday to 3.1-3.2 bcfd on Tuesday and Wednesday. The media has reported that there were at least six heat-related deaths in Riverside County during this month. Last week, Riverside County public health officials warned the elderly and those with health issues to be more cautious of the heat, in the wake of four heat-related deaths. Dangerous fire weather is also expected for many areas in southern California due to hot temperature and low humidity. A red flag warning has been issued in Santa Barbara County where the massive Thomas Fire scorched tens of thousands of acres at beginning of 2018. At the same time, the ongoing Ferguson Fire has triggered closures in Yosemite National Park. The fire has claimed one person’s life and charred more than 36,000 acres with 25 percent containment.